Ramadan is coming soon, we have to know the (Niyat) dua for Ramadan to break fast (Iftar) and begin fast (Roza, Sehri or Suhoor). Ramzan Duas are shared in the shape of images, text and in form of PDF list. These prayers are very necessary must information for every Muslim to know at the Holy month of Ramdhan. 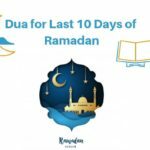 There are different Dua for every 10 days of Ramadan. The sets of 10 days of Ramadan is called as ASHRA. As we know there are 3 Asrha of Ramadan with 3 different special Duas for ASHRAS. Some Momin Muslims should know the daily dua of 30 days in Ramzan. 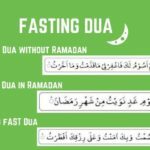 See the below articles to know the proper Ramadan dua in Arabic, English, Hindi, Urdu, Tamil, and Malayalam. We will give every a very warm welcome into Ramzan 2019 with Dua for Breaking Fast (Prayer) and Dua for keeping fast. We hope you complete the 30 days of fasting in this year. Here is the list of Roza Rakhne ki dua and Roza Kholne ki dua in English, Urdu, Hindi and Arabic.